H.W. Parker & Son Monument Company, LLC. works one-on-one with our clients to create a very personal memorial for your loved one or for yourself on a pre-need basis. After the design is created, a computerized drawing will be offered for your approval. This allows your memorial to be your own custom design. At H.W. Parker & Son, we are dedicated to making sure our clients are provided with the highest quality of customer service. H.W. 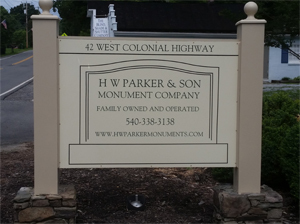 Parker & Son Monument Company is a family owned and operated company that has the ability to do all of our work on-site, as well as off-site. 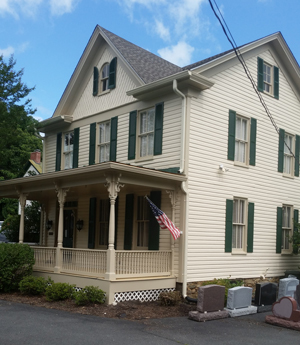 We are currently Loudoun County’s largest full service monument company.